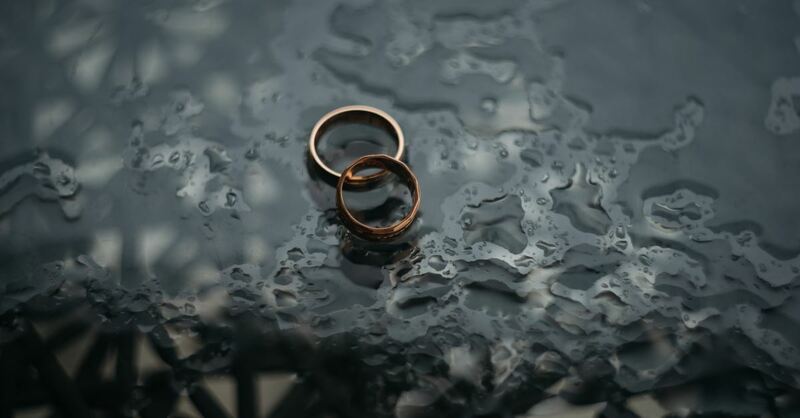 Doesn’t God Want to Save My Marriage From Divorce? Surely God wants to save my marriage? I asked this question many times throughout my adulterous marriage. After enduring at least four affairs and psychological torment, I still did not want to be divorced. I just wanted to live in peace and have a marriage that honored God. My fervent prayers begged for reconciliation until a day in 2013 when the judge declared my marriage had ended in divorce. After learning that I have written a book for Christian women about surviving divorce, I hear similar questions and stories from women facing the same unwanted ending. I wrote it to encourage and remind women that, even when prayers aren’t answered the way they wish, they can and will survive. Yes, God Could Save Your Marriage, but that Doesn't Mean He Will. I memorized Jesus words and other verses from the Bible to remind myself that I just needed to pray more and seek God, who could save my marriage from the devastation of divorce. But the lesson I learned was, just because He could give me what I desired did not mean that He would. Everyone goes through some sort of traumatic experience or devastation in his or her lifetime. When we go through trials we have two essential choices. We can blame God and turn away from Him, taking matters into our own hands, or we can continue to worship Him and trust Him with our futures—no matter the outcome, no matter the loss. How to Deal with Your Devastation and Loss: Worship. Job of the Bible is a great example for how to deal with devastation and great loss. After learning all his sons and daughters were crushed and killed, Job chose to worship. After my divorce was final, I chose to worship. I didn’t have a party or a divorce cake, I just realized that I needed to turn all the energy I was using to worship my husband and marriage onto the One who deserved my worship. I decided, for the rest of my life the only place I wanted to be was inside God’s will. Understand that You Can't Fix Someone's Heart. Although I’d been a Christian for most of my life, I wasn’t always on the right path. During the first affair, I begged my pastor and church to make it all go away—I just wanted my marriage back. They cornered my husband and forced him to come home—not necessarily of his own free will. We were given several Christian books to read and we started marriage counseling. After a few sessions, he stopped going and we hardly spoke of his adultery again—everything boiled under the proverbial rug in the meantime. During the second and third affairs, I was angry. Old wounds were opened, but I was determined to fix everything so we wouldn’t have to deal with this again. I told God to change my husband’s actions—essentially force His will—and I made myself the probation officer. Marriage counseling became about what I needed to do to keep my husband, not about the core issues that caused him to stray. In a sense, I was putting a small adhesive bandage on a gaping wound. The situation kept repeating itself because the main heart problems were never fixed – his heart problem and mine. Always trying to fix it, I had made an idol out of my marriage, until I heard God say it was time for me to surrender. I cared more about my spouse’s life and eternity than he did—a recipe for disaster. Relenquish Your Control: Trust God with Their Decisions. A longtime Christian mentor asked me if she could pay for him to go on a retreat for men who battle with infidelity. As much as I wanted to save my marriage, I knew this was no longer my job. I told my friend that I appreciated her thoughtfulness but unless my husband was going to seek this treatment for himself, unless he was really ready to make the changes, there was nothing more I could do. We are all given our own free will. Free will means we all choose what we do and whom we follow. God created free will instead of forcing His will, so that we choose Him over our own flesh. Of course He wants all of us to follow His commandments and His purpose, because He knows that’s what is best for His creations. But we must do so of our own free will or our hearts will not be in it. Forcing someone else is like dragging a mule in a direction it doesn’t want to go. Realize You Can't Force Them Down Your Own Path. Of course God wants all marriages to glorify Him through the covenant of marriage He created. He wants to see couples following Jesus, giving up their fleshly desires, and seeking to love and respect the people He has placed in their lives. But many times, people make the choice to walk in a different direction, away from godly advice and their own families. Many men and women will make the choice to divorce for selfish reasons and there is nothing we can do to stop it. Proverbs tells us there will be fools who do not listen to wisdom or instruction. They will turn away from what is right and go down wrong paths that lead to destruction. Every single person on this earth is given free will to choose wisdom or foolishness. Each of us must make up our own minds, seeking God’s will if we choose, for which direction we will go. Neither of us can force another person down a particular path, to stay married and faithful to their vows. And even when we think someone is walking in the same direction as we are, they can always change their mind and go someplace else at any given time. Trust God's Greater Plan by Making Peace. It is very difficult to realize the person you have committed the rest of your life to suddenly decides that he or she wants to be on another path with another person. It’s like a death, yet your spouse is still alive, doing life with someone else. God allows it—allows divorce—when He chooses not to force His will on anyone. I’m not sure if my (ex-) husband and I were ever walking in the same direction throughout our marriage or not. But in order to continue down my God-given path, to a life of peace and purpose, I had to give up trying to force him to walk with me. Six years later, I know a peace that I never knew while married. I no longer feel so very alone. The only way I could live in peace and with God’s comfort was for my marriage to end. Was any of this God’s will? I might not know until I see His face, and see the bigger picture that only He can see. Forget Your Shame by Knowing your Redeemer. But God called me back from my shame and my grief. I was a rejected and deserted wife. God redeemed me and made me His. He is my Husband. And great things have happened because of my acceptance of this path. Maybe God will save your marriage, maybe He won’t, but in all circumstances we need to choose to worship. Your story doesn’t end because of divorce; God is still seeking to have a relationship with you. He wants to see you heal and thrive.